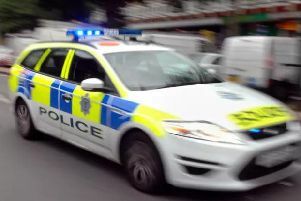 A car fire and a crash involving five vehicles on the M40 near Banbury have caused delays for motorists this morning (Tuesday, June 19). Two lanes were closed on the southbound carriageway between junction 11 and ten due to the five-car accident near King’s Sutton at around 6.50am. Two people were taken to Horton General Hospital for minor injuries after being treated by paramedics and all lanes reopened at about 9am. Then at around 8am, a car caught fire southbound between junctions 12 and 11, causing two lanes to be closed. Firefighters extinguished the blaze and all lanes reopened at about 10.25am.